The LXE 8500 has been renamed to the Honeywell 8500. The LXE 8500 features extended range scanning from 5 inches up to 45 feet and easily reads damaged or poorly printed barcodes using fuzzy logic technology. 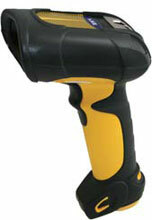 It also uses Industrial ergonomics including IP65 seal, 6.5 ft. drop test, and a -30 degrees C operating temp capability.